If you are looking for a holidaying destination appropriate for your family, Maya World Hotel Side at Titreyengöl Mevkii is a great choice. 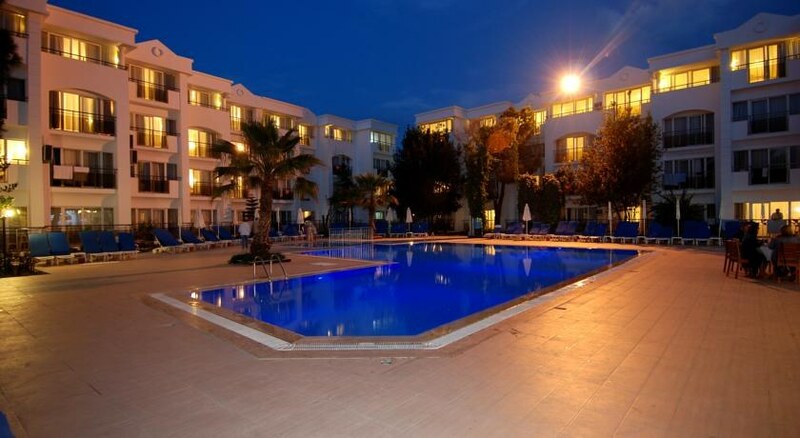 Sunbathing terrace, children pools, water slides and proximity to sandy beaches make the hotel an enjoyable place for groups of guests and families. Pets	Pets are not allowed. From a total of 272 rooms there are 252 standard rooms, 10 family rooms and 10 suites. 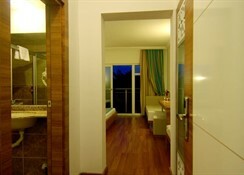 Each room has a bathroom or shower and a balcony. 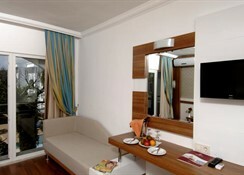 The rooms are equipped with air conditioner, satellite TV, telephone with a direct line and a minibar. There is an outdoor restaurant with a capacity of serving up to 300 guests. There is also an indoor, air-conditioned restaurant and an a la carte restaurant. The latter needs pre-reservation and can be freely accessed once per holiday. With all-inclusive option, you can have open-buffet breakfast, lunch, dinner as well as snacks, afternoon-cake, coffee and midnight soup. It also includes free local alcoholic and non-alcoholic drinks served at late evening. 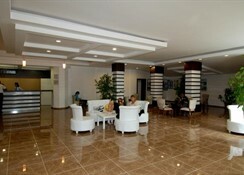 There are several bars such as a pool bar, beach bar, garden bar snack bar and a disco bar. If you have chosen all-inclusive option, then you can have free soft drinks, beer and wine from certain bars at some specified hours. 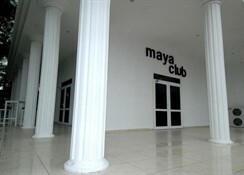 Maya World Hotel Side has 2 outdoor pools around which you can relax on the sun loungers. If you crave for something more, go for sauna or the famous Turkish bath and get a rejuvenating experience. There are a lot of activity and animation options such as table tennis, mini golf, beach volley, boccia, dart, aerobics and gymnastics. 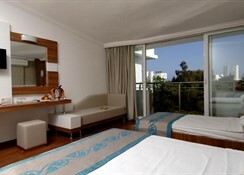 The hotel organises games and competitions during daytime and entertainment shows during evening times. For children, there are 2 separate pools, water slides, a playground with trampoline and a miniclub. The hotel also provides special buffet for children during dinner time. Standing barely 400 metres away from the beach, the hotel puts you up fairly close to the lovely warm water of the Mediterranean. Nestled among pine trees in mountains, Maya World Hotel Side is quite a relaxing place to be. Places of interest in the vicinity include the beautiful town of Side with Roman ruins, bars and shops and a large Monday market in Manavgat.